This true story happened quite a few years ago. 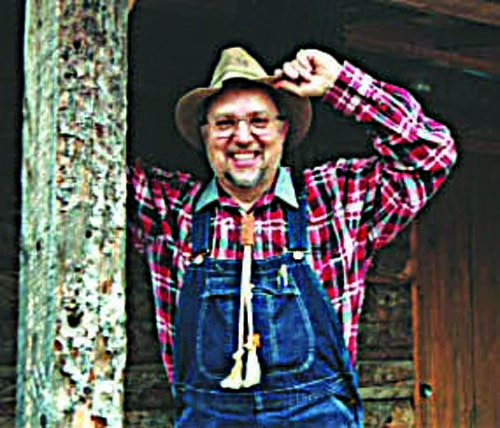 A young rancher, Bill Melater, had crafted a reputation as a sound businessman. He wuzn’t what you’d call “tight” with his money — more like “savvy frugal” — willingly to spend money when necessary, but not until after “more frugal” alternatives were weighed. Well, it happened that ol’ Bill had a couple of children who had arrived at an age when they wanted to show a 4-H Club bucket calf at the local county fair. Bill figgered it was a perfect 4-H project for his kids because he calved out enuf cows every spring that he “just knew” he’d end up with two or more orphan calves for the kids’ bucket calf project. Some cow would have twins, or one would die or not claim her calf, or one’s udder would go bad. For years, Bill had never went through a calving season without having two or more orphan calves, so he felt pretty confident his kids’ bucket calves would fall into his lap without necessitating a trip to the local auction barn to purchase the project calves. Well, when the cows started calving, one of the first had twins, and could care for only one … so Bill’s son had his “automatic” bucket calf. But the days and weeks rolled right on through the end of the calving season with every calf alive and thriving on it’s mama and to Bill’s consternation the second bucket calf for his daughter had failed to materialize. Put another way, Bill’s calving season had been too successful. Bill’s first inclination wuz to simply tell his little gal that she had no bucket calf for the fair. But, he quickly put that thought aside as unworkable. So, he started asking his friends around the county for help in locating a bucket calf. When one of Bill’s best friends heard about Bill’s bucket calf predicament, he volunteered to solve Bill’s problem of finding an orphan calf. “Don’t worry, I’ll see to it that you get that orphan calf you need before tomorrow,” he promised Bill. “Just how do you plan to get me an orphan calf that quickly,” Bill came back. “Because just as soon as you leave, I’m going to drive by your calving pasture and shoot one of your cows dead,” the friend replied. Bill got the message. His daughter showed a bucket calf at the fair that summer — a calf that Bill bought at the local sale barn. My county extension agent friend, ol’ Avery Ware, has been a well-spring of true cell phone stories in recent weeks. But this week he told me a different kind of true funny story that happened to him. Last October, Avery went to a state extension meeting in Manhattan. He noted that extension meetings nowadays contrast with similar meetings from days of yore by at least one thing. These days, the munchies during the breaks included fresh fruit, yogurt, granola bars, etc. Long gone are the unhealthful, fattening munchies of days gone by — donuts, cookies, potato chips, and candy. Well, as it turns out, Avery had to leave the afternoon meeting early before the munchies break. So, on his way past the fresh fruit, he grabbed an appealing apple to munch on his drive home and stuck the apple in his jacket pocket. And, forgot all about it! For more than four months! Well, last weekend he’d gotten an invitation to the 80th birthday party of a farmer in his county. It wuz a nice day, so he grabbed the light jacket he’d not worn since last October. He drove to the party and as he entered, Avery happened to stick his right hand into his jacket pocket and right smack into a very juicy, thoroughly rotten apple. Avery’s hand wuz so covered in rotten, putrid apple gunk that he couldn’t even shake hands with the guest of honor until after he’d cleaned out his jacket pocket and washed his hands. By the time you read this column, we’ll be experiencing the joys of daylight savings time. In some ways, DST is a harbinger of spring. However, just last week, I got to see two other harbingers of spring. One afternoon, just before a little snow storm hit, Damphewmore Acres got flash mobbed, twice — first by hundreds of robins who seemed to fall from the sky out of nowhere. They dispersed evenly across the acreage, spaced about 4 feet apart. They fed for about an hour, then flew off as quickly as they’d arrived. Haven’t seen a robin sinse. The second flash mob arrived right after the robins left. This time it wuz a hoards of thousands of starlings. And, they settled into a “black-feathered bird mat” under the big mature cedar trees in the yard. They were packed tightly within the drip line of those cedars gorging themselves on cedar seeds.